Pretoria (VNA) – A delegation of the Vietnamese Ministry of Public Security visited Mozambique from April 2-5 with a view to strengthening their public security forces’ cooperation in crime fight, training, and logistics. 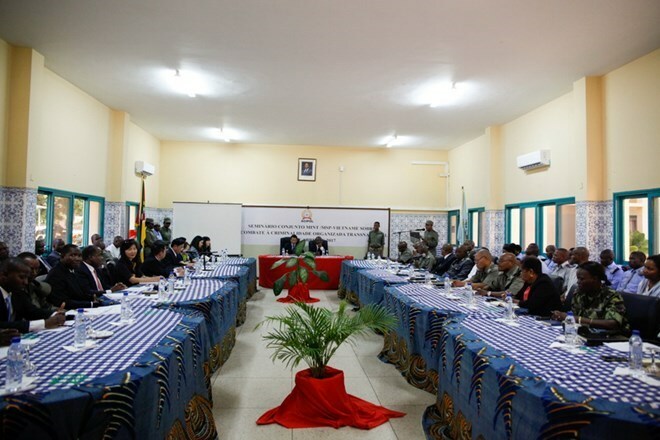 The Vietnamese delegation, led by Director of the ministry’s external relations department Major General Tran Van Tat, had a working session with officials of the Mozambique Ministry of Interior. They noted with satisfaction the progress in cooperation between the two public security forces, particularly in personnel training, information exchange, police logistics, and combating crimes, including transnational and environmental crimes. They agreed to assign the Interpol Vietnam Office and Mozambique’s National Criminal Investigation Service to take charge of sharing information about crime combat. Major General Tat highly valued the trust and fruitful cooperation between the two sides. Meanwhile, local interior officials voiced their hope for stronger ties with Vietnam in personnel training, police logistics, criminal investigation, and consultative activities. To reinforce the legal framework for anti-crime cooperation, the two sides agreed to accelerate the negotiation on an agreement on mutual judicial assistance in criminal matters, an extradition agreement, and another on the transfer of convicted and sentenced persons.